How to use Nik Collection to Create Fantastic Photos? Before and after using Nik Collection plug-ins. I have made many of the effects subtle, as I like not to overdo effects, but that is a matter of style. If you want to push it, you definitely can with these plug-ins. Often when a photo comes straight from the camera, it looks flat and not just up to our expectations or what our experience was when we took it. 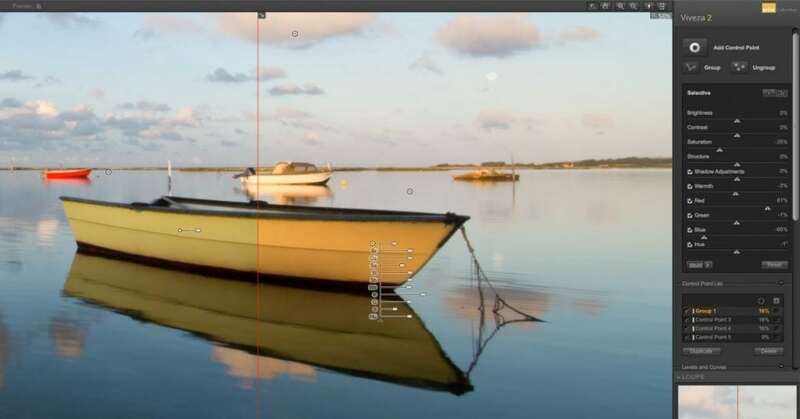 Instead of leaving the photo sitting on your hard drive, you can make most images pop using Lightroom or Photoshop, but with help from the DxO’s Nik Plugins, you can take control of the editing process to another level and get the most out of each photo – and the Nik Collection delivers, no doubt about it. Although you can use the Nik plug-ins from either LR or Aperture, you achieve the best workflow from Photoshop. In Photoshop, each use of a Nik plugin or filter results in a new layer, making the processing non-destructive and enables you to use the layers opacity sliders or masks to fine tune the effect. To let you in on what each plugin do, I will go through the plug-ins in the workflow order suggested on the Nik Collection website. Amongst the Nik plugins, you’ll find a tool called RAW Presharpener. The idea of sharpening multiple times during the image editing process is to control image details at different stages towards the final photo. Many DSLR cameras have anti-aliasing filters to prevent moiré. Anti-aliasing filters often introduce an undesired blur to a photo. The RAW Presharpener helps to remove this issue. If you have a sharper starting point, then different masks that you may apply at a later stage of image editing, will be just a little more precise. 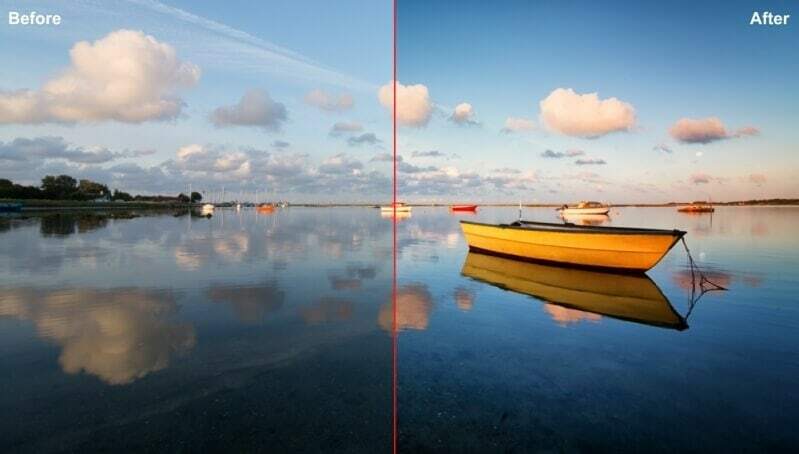 In this sense, there are really good reasons to use the RAW Presharpener tool before going further with editing your photo. Just remember to make it subtle, we don’t want any halos showing up. 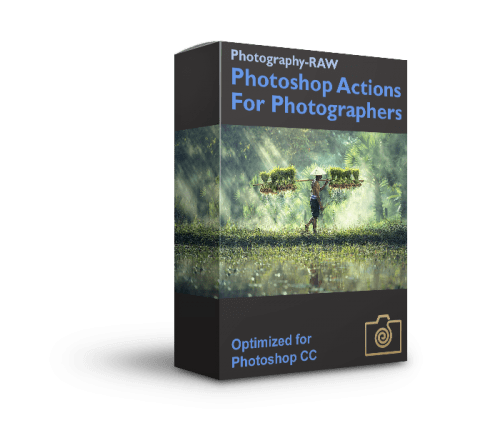 If you have shot your photo with a low depth of field to create an artistic effect, where you only want a specific part of the image in focus, RAW Presharpener should only be applied selectively to the areas you want in focus. Otherwise, you will ruin this effect. As with any other of the plugins in the Nik Collection you can apply a filter or a tool selectively by using (+) control points to include areas you want to affect and (-) control points to mask out any areas you don’t want to change. A good starting point is to set the adaptive sharpness slider to around 30% and push the slider below right towards Sharpen Edge (and not Sharpen Areas). If you have a lot of noise in the RAW image, select High ISO to keep RAW Presharpener from sharpening the noise. Remember the result of pre-sharpening should be subtle, later you can deal with creative sharpening and output sharpening. Dealing with noise is easy. The tool for noise reduction is called Dfine. In Nik’s Photoshop panel, you will find different tools to handle specific noise issues (like a brush to handle hot pixels), but, in general, you just need to use the Dfine tool itself. It does most of the work for you by analyzing your photo and finding where the noise is and how much noise the are in the particular tones and colors. It only applies the amount of noise reduction that is required to deal with it. As soon as has finished analyzing and writes “Automatic profile applied” you are done in most cases. So just hit the OK button to apply it to your photo. This is where things get really interesting. Viveza 2 is your magic wand when it comes to local adjustments. As you can see below, I have changed the color of the boat to be a little more orange. All I did in Viveza 2 was to apply two control points on the boat and group them together, then at the right side panel I chose the color-picker and selected the color I wanted the boat to have. I find that a little more orange look to the boat better fits with how I saw it at the time of capture. Furthermore the orange/yellow better complements the blue tones of the water. Local adjustments to colors are very easy using control points. On the left you see the original and on the right, you see the color-shifted version, where only the boat changed color. The color picker tool is found in the right side panel, once you have selected a control point. From here you can also work with the other sliders, or you can do it directly on the control points placed on your photo. To avoid that the selection affects the area outside the boat, like the water and the sky, just place three extra neutral control points outside the boat, but near it. A super easy process, which in most cases are far easier than creating precise masks in Lightroom or Photoshop. In Viveza 2 it is worth noting the structure slider. It does a great job of enhancing local sharpness and detail of anything you want extra crisp, so it pops up and grasps the viewer’s attention. Most users will probably fall in love with Color Efex Pro 4. 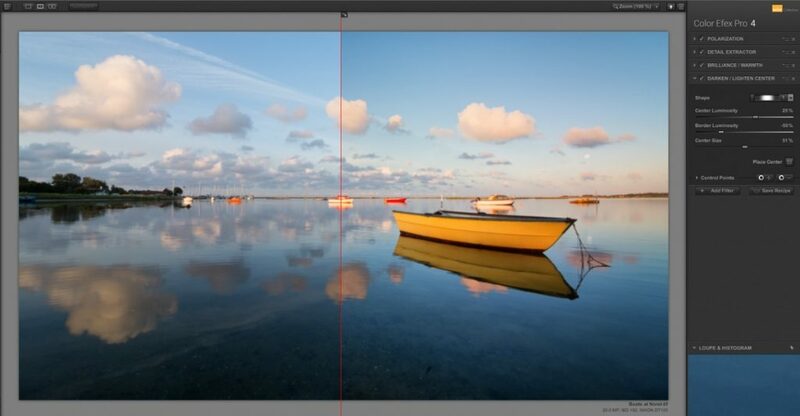 It is the fastest way to change the look of a photo, just like presets does in Lightroom. Again you can use control points to limit the filter to being just local adjustments. With the example photo used, I have applied a Polarization filter, to get the sky just a little more blue, but without affecting the rest. As I applied the Detail Extractor filter, I just placed a few (-) control points at the clouds, because I didn’t want the extra details in them. Next I applied a Brilliance/Warmth filter to give the photo a little more golden-light-feeling to it. Finally, I used a Darken/Lighten Center filter which is like adding a vignette, except you can decide where to place the center point, so you get much more control on how the vignette affects the photo. With Color Efex Pro 4 you can add multiple filters that are locally adjusted. Applying them one at a time though gives you a completely non-destructive workflow because you get a new Photoshop layer for each filter. When you apply a bunch of filters like just shown, you can save them as a recipe for later use. 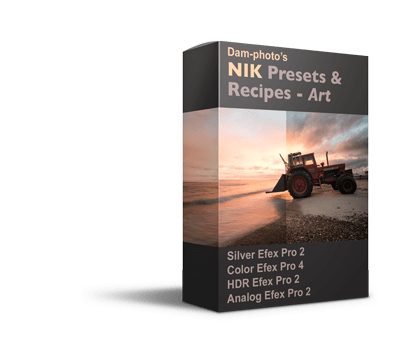 I have made a Nik Collection Presets & Recipes package with 49 very useful recipes for Color Efex Pro 4, Silver Efex Pro 2 and HDR Efex Pro 2, which gives you a broader variety than the default filters do. If you want to make your photo monochrome or black and white, now is the time to do it in the process. Of course, you might not even have the need to apply a filter using Color Efex Pro 4, or making adjustments using Viveza 2. Then you can of course just open Silver Efex Pro 2 and get started on finding the right the black and white look. 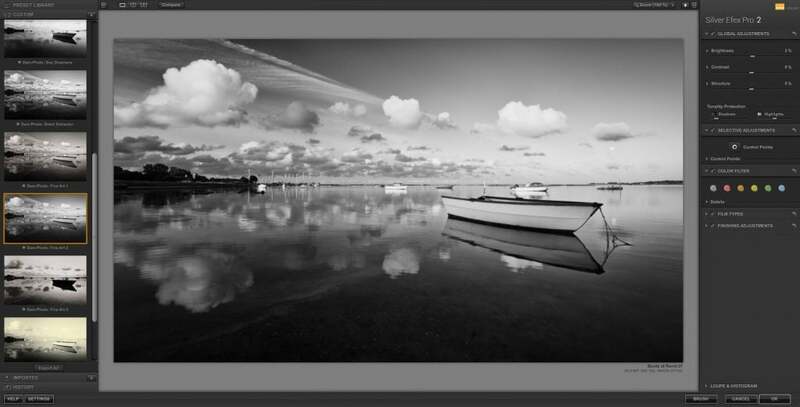 Silver Efex Pro 2 is inspired by traditional darkroom controls like film types and paper toning. You will also find a color filter, which determines. Of course, you have the control points, which allows you to make local adjustments to brightness, contrast, structure, amplify either whites or blacks, fine structure, and selective colorization. Why can’t I just use Lightroom to sharpen my photos on export or use the overall sharpening within Lightroom or Photoshop? Well, you can, of course, no problem. But, it is the attention to detail that will help your photo stand out from the crowd. As I mentioned earlier, if you have a photo with a narrow depth of field, and you sharpener the entire photo, you work against what you were trying to achieve, by making everything sharper. Furthermore, the output format, whether it be for web, inkjet printer or a photo lab also has an effect on how sharp you photo will be when printed. But, what about the intended viewing distance? That too plays a role if you want to print in large sizes. Nik Sharpener Pro 3’s Output sharpening tool allows you to control all this to make last finishing touch to your work of art. Below you can see the original photo and the after, with all the effects applied, which makes the photo much more attractive. Before and after using the Nik Collection plug-ins. I have made many of the effects subtle, as I like not to over-do effects, but that is a matter of style. If you want to push it further, you definitely can with these plugins. So far I haven’t covered Analog Efex Pro 2 or HDR Efex Pro 2. Analog Efex Pro 2 lets you play with different film types to achieve a specific film-like look to your photos. You can use Analog Efex Pro 2 at any point after Dfine 2. If you want to work with automatic HDR, you should use HDR Efex Pro 2 right after using Dfine 2 on your source files. Getting used to working with the Nik Collection plugin tools are quite easy, although it might feel like a bit strange using so many plugin tools instead of using Photoshop’s or Lightroom’s built-in features. You don’t have to use all the tools each time to get good results; I rarely do it like this. If I need local adjustments that need to be precise, I open up Viveza 2. If I want to make a photo black and white, I will use Silver Efex Pro over Lightroom’s features. I wanted to give you a view of the entire process so that you can utilize the benefits in each step of you image editing process. Already a Nik user, please share your experience on using the Nik Collection below? How to get past the OK-plateau as a photographer? Hello Peter, thanks, for this email about NIK filters, but I allready have them for years. I used them many times with Capture NX2 because they have the same with the U-point technology. Later on Nikon sold NIK to Google and I stopped with my Nikon. I switched to LR and bought Fuji X, now XT-1 and very satisfied. I still have the latest versions from NIK, but (and I don’t know why) but automatically I switched to All the presets from LR and when needed to the Macphun features. But from now on I’m going to use my NIK filters again. Thanks for that. You are welcome Peter. I am glad if this refreshed your enthusiasm for the Nik plugins. It’s always good to read a refresher like this. The RAW pre-sharpener always confused me because I thought you should always de-noise first. Your explanation helped me to understand why that Pre-sharpener was developed and what it is intended to do. I also would say that the Nik tools are not a replacement for LR or PS, or even Perfect Effects, but they should simply be considered as another tool in the digital darkroom that expands your creative options. Once in a while, an image is pretty strong on its own and sometimes those lucky images are ready to post right out of LR without any further work. That said, I would say that the majority of the images that I process have some touch of Nik. I will also say that the first time I tried to use Control Points, I just didn’t get it. I was thinking too much from the technical side of my brain (thinking about PS selections and layers) and that was holding me back. The Nik tools allow me to think creatively, not scientifically, and my editing time was reduced significantly (and actually became more rewarding). BTW, I just purchased your collection of Nik presets and recipes and spent a short time going through them. You have a pretty diverse collection there and having more presets and recipes to go through is a nice way to spark creative ideas when you’re not sure which way to go with an image. Cheers, Peter! Hi Rob, I totally agree with you that the Nik Collection is not a replacement, but a supplement to LR or PS. Sometimes it is just easier to use. Special when making precise selections or working with the filters. Thanks for supporting me. 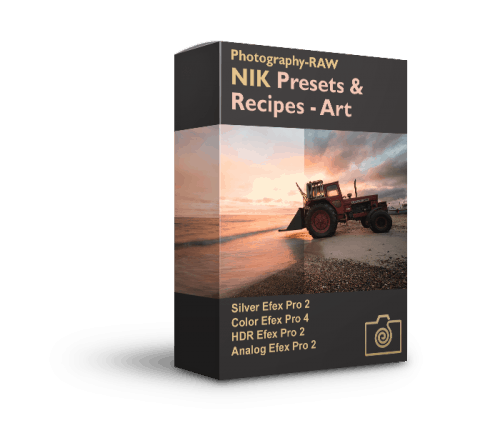 I will try to update the Nik preset package once in a while, with more presets and recipes – and send updates to you and the other who have bought it for free. Anyway thanks for commenting. Thanks, Peter! The offer to provide free updates is very much appreciated. I’m looking forward to any new updates or presets that you provide. You just made a good value even better! What about using the apps without Photoshop just on it’s own now that it’s free? And what about layers. Adding backdrops to plan background pictures? Thanks for posting. You can use Nik Collection plugins as a stand-alone app and open the image from within. However, you have no tools for rotating, cropping, spot removal or organizing your images. Nik collection is very strong together with either Lightroom or Photoshop or Aperture. It integrates best with Photoshop because each use of the plugin results in a new layer. In Lightroom it will result in a new image file and you cannot mask out certain areas that you don’t want to be affected once back in Lightroom. Peter, Thank you for sharing this info. I just started using NIK after I got the free download this week. I could not find a cropping tool here. Is that not an option. This is the first photo editing software I have ever used so I am new to this. Love the filters and options though. Has already made some of my photos “pop”. Hi Stewart. Thanks for the feedback. No, you need to use some other software for cropping and rotation. This could be Lightroom, Photoshop or similar. 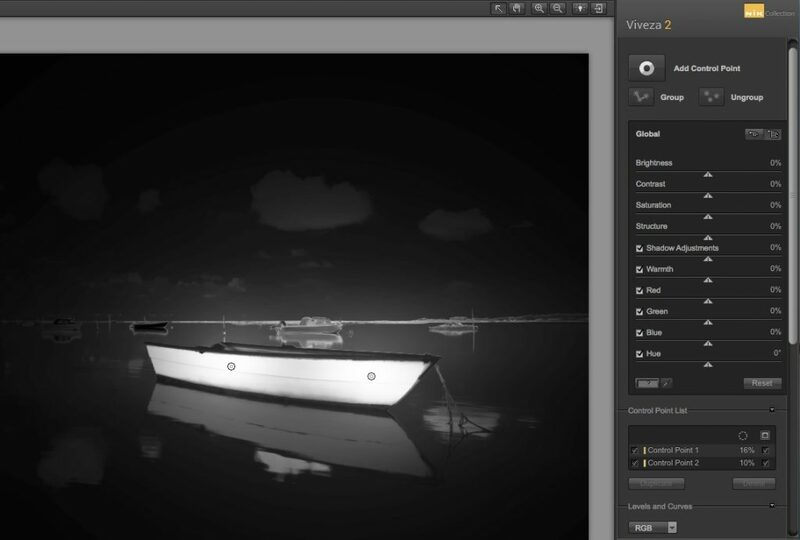 Nik’s strong side is its filters, black and white handling, noise reductions and sharpening tools, that you should use together with a normal editor. I suggest Lightroom if you are a beginner. It integrates well with Nik software and Lightroom is fairly easy to use, but it is not free. If you are looking for something completely free you can use GIMP (http://www.gimp.org/), but it is not nearly as user-friendly and doesn’t have organising features. Furthermore there is no direct integration with NIK as far as I am aware. I hope it helps. I’ve used my Nik collection to inhance my pics but when I go to view them on anything other than ps they are black or white and cannot see them. I haven’t about this issue before. Have you saved the files as .tiff or .psd with layers? If you did, you can disable the layers to revert back to the version before applying the Nik filter. Have you tried to contact support at Nik Collection by Google? I think they might be interesting in figuring out, what is happening. I can’t crop images and then open the PS file with Nik Filters. The filters always show the full file as captured in camera, and I want to view effects on crop size. I’ve used these filters for over 13 years and suddenly this has become a problem. Sorry, but I don’t have experience with using Paintshop Pro. However, I know that when you open an image in Color Efex Pro 4 it often applies the latest filter used. Oh wow thank you so much for this, just tried Dfine 2 on some bird shots I took on a fast shutter speed and a necessary high ISO…….amazing!! Pingback: How to use Silver Efex Pro 2 to Create Amazing Black and White Images? hii guys , i cant aply nik collection in photoshop cs6 . i can veiw and choose the recipe but i cant apply to the image plss help me………. I just installed the NIK Collection to use with Affinity Photo (it allows use of Photoshop Plugins), and any Nik Collection plug-in selected results in opening the image rotated on its side. This is not how it appears in my layers, nor have I rotated the original. 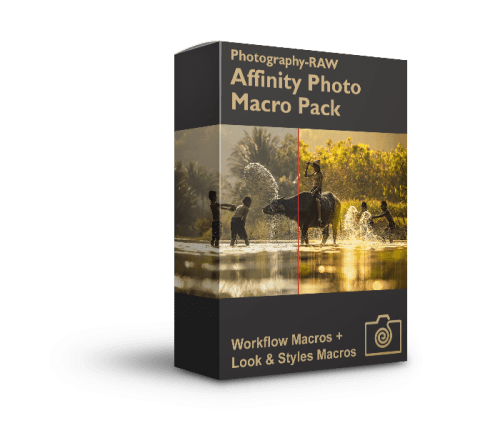 A bit more searching, and I found the solution on the Affinity Photo forum. All I had to do was right-click on the image within Affinity Photo, and select “Rasterize”. Now it opens in the Nik plug-in with the correct orientation. Thanks for the comments Roddy. And thanks even more for finding the answer. I haven’t experienced this issue myself, but great to hear that there is an easy solution to it (once you know it, of course). You really need to update this before posting to Facebook again. These filters are now sold by DxO, not by Google.